igrishaev: Being looking for my favourite channel on YouTube. The one I've been watching more than others. Where is it I wonder? Of cause, it's under the "Show 2 more" button. Thank you! Is there any sense in how this list is organized? 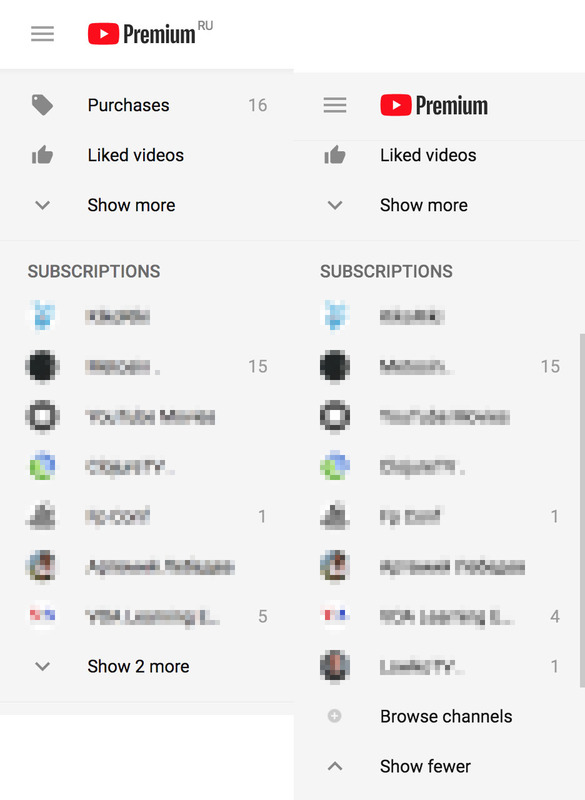 The channels that haven't been updated for months hang on the top whereas the most seen ones are hidden. Why? One more thing: "Show N more" shows N-1 channels actually because "Browse channels" is not a subscription. Here is how they managed to steal **exactly** the thing I need.